Smooth wrinkles and refresh clothes the simple, hands-free way. 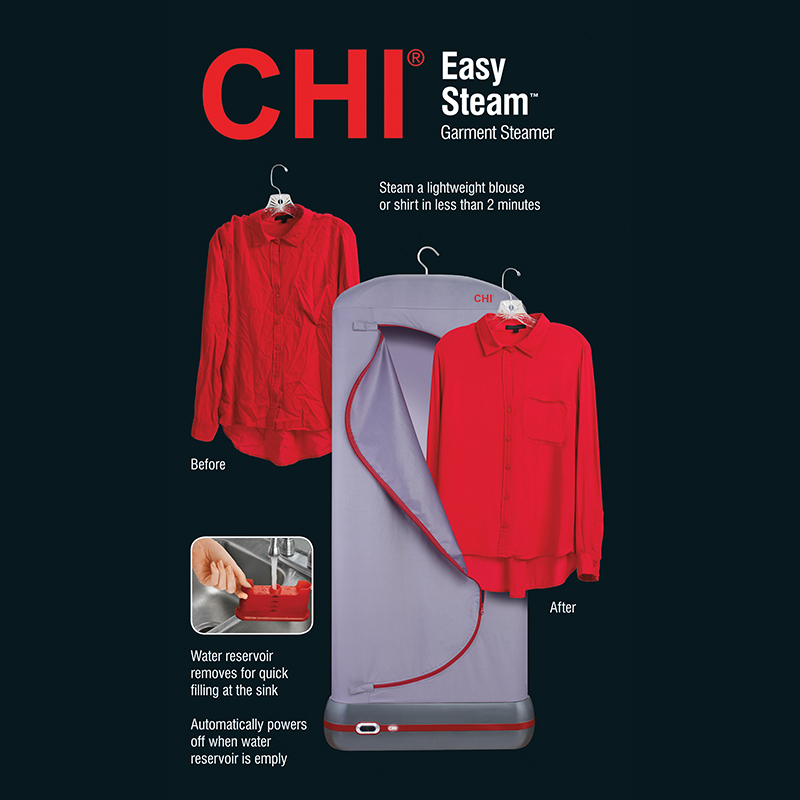 The CHI Easy Steam is a de-wrinkling game changer. 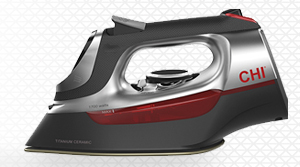 It smooths your clothes with powerful steam, and the best part is, you barely have to lift a finger. 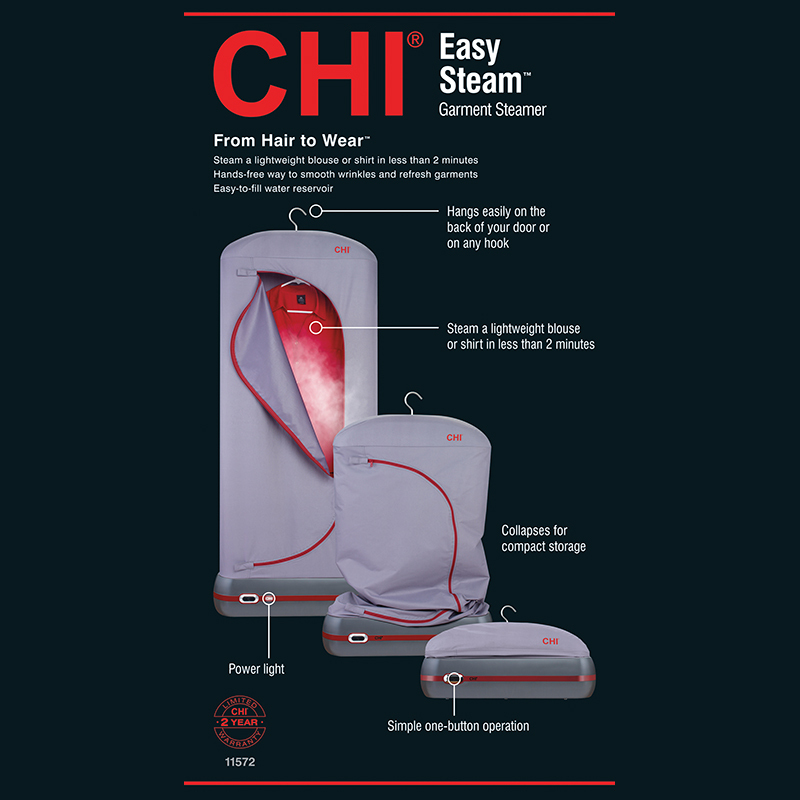 That’s because this innovative steamer eliminates the work of a traditional hand-held – no more standing over your fabrics, searching for that perfect angle or wondering if you missed a spot. 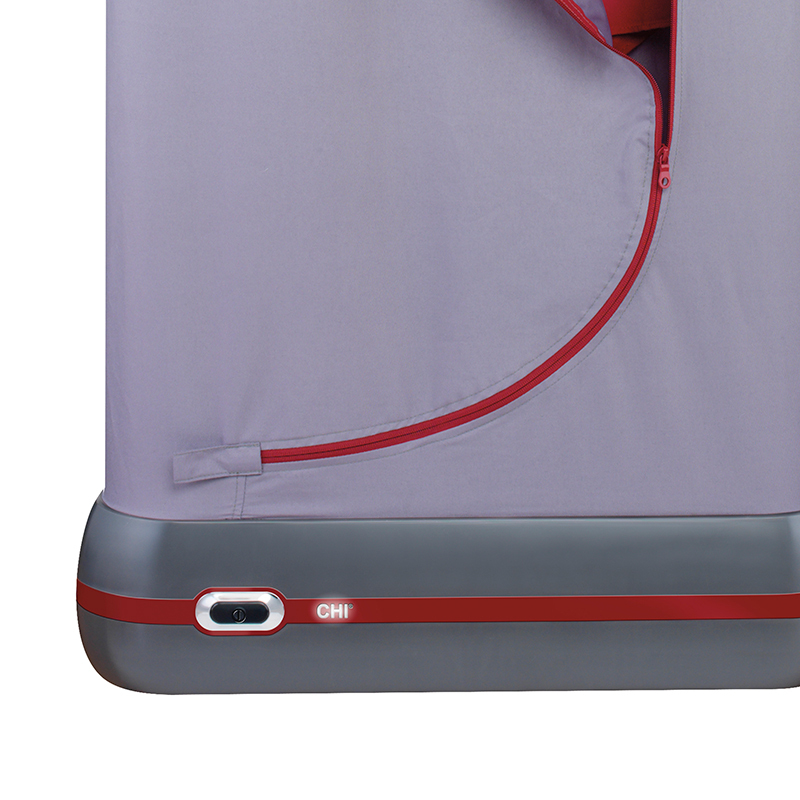 The magic all happens in the breathable, fabric garment bag. 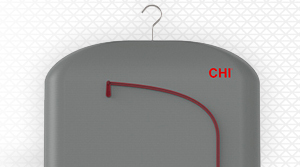 Simply hang from a convenient spot such as the back of a door, a shower rod or the closet. 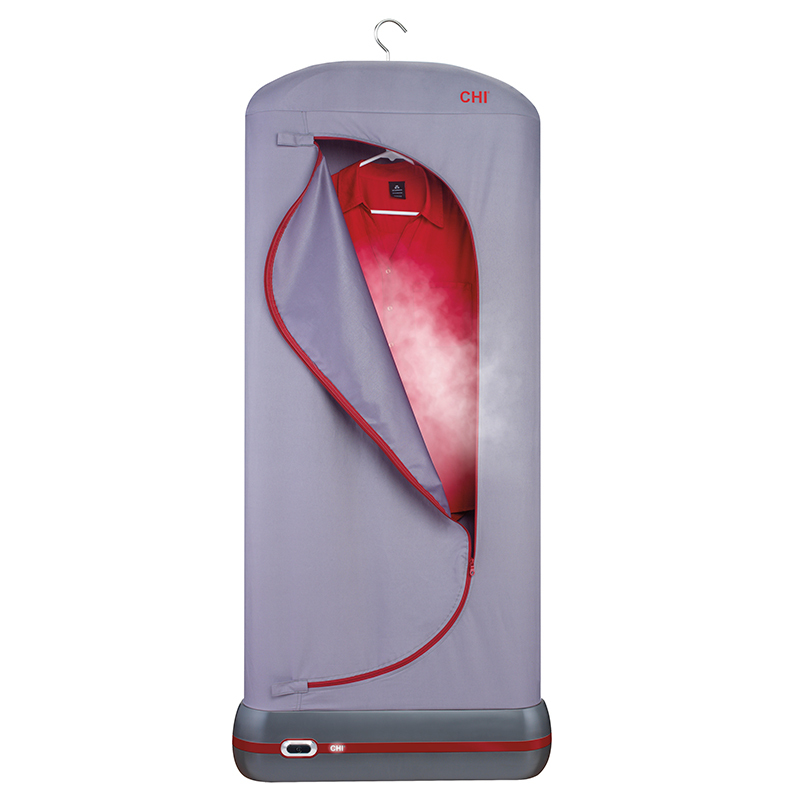 Then fill-up the easy to access water reservoir, located in the base of the bag. Next, place one item on the built-in hook and zip up the bag. With a tap of the button, the steaming begins. 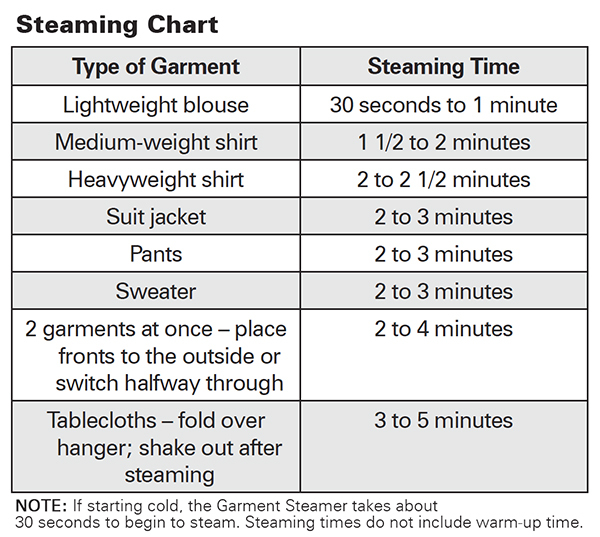 Most garments can be steamed in less than two minutes! 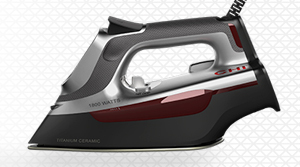 From the world-renowned brand that has innovated the haircare industry for over 30 years, comes a high-performance line of irons and steamers for all the fabrics of your home and wardrobe. 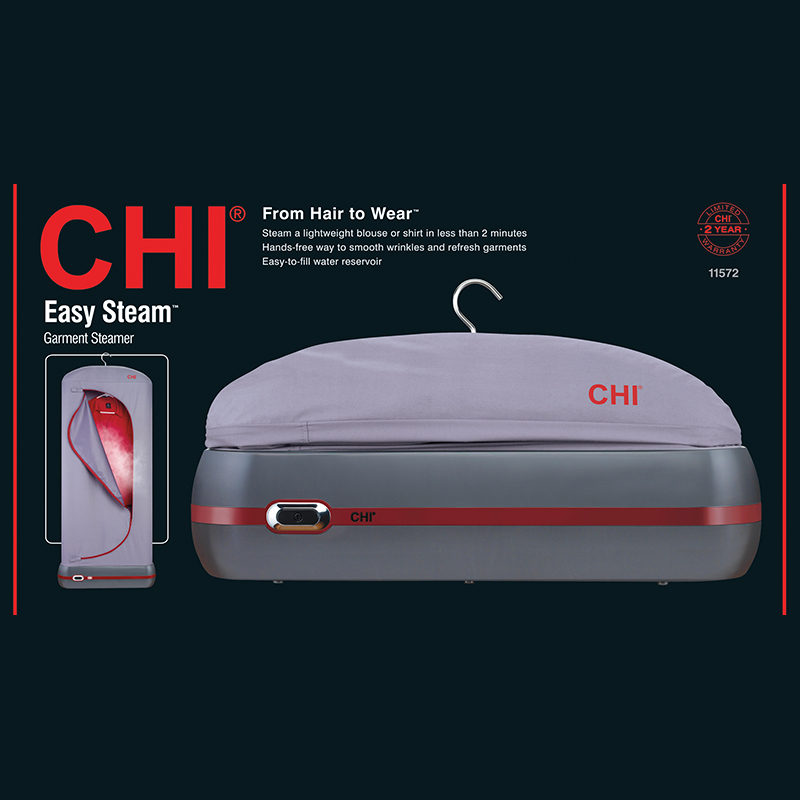 Engineered with CHI flat iron technology, and designed for the modern home, these products deliver the precise results you can only expect from CHI. 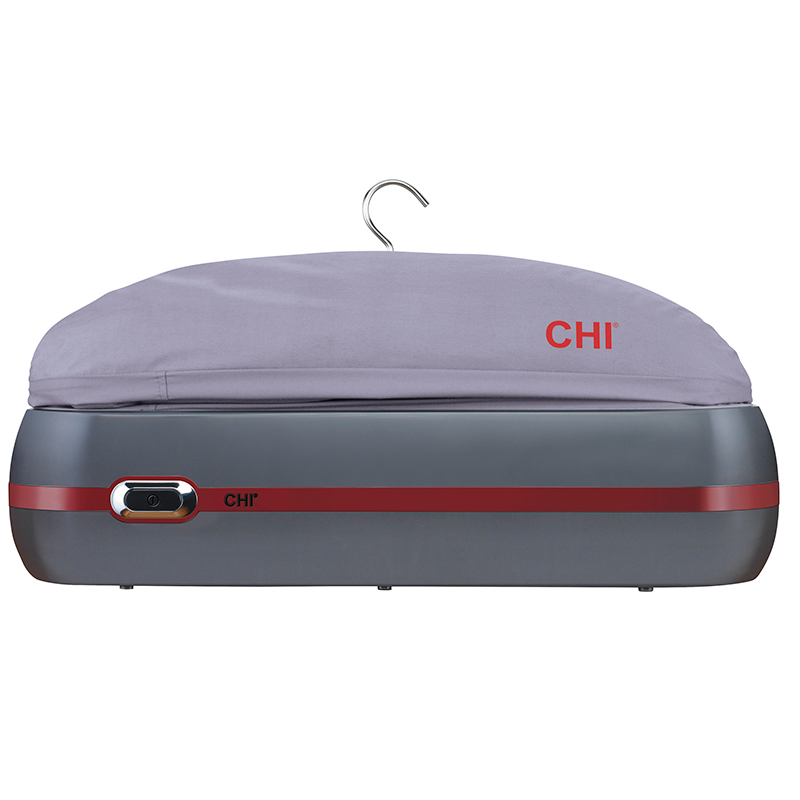 Whether you want to create a flawless look from head to toe for a milestone event, or have a perfectly-pressed outfit for your workday, it’s now easier than ever to achieve with CHI. Remove water reservoir from the base of the steamer, fill it to the desired water level and return it to the steamer base. Hang your clothing inside the bag and zip it closed. 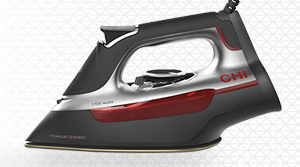 For best results, steam one garment at a time. 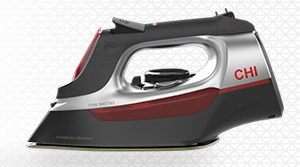 Plug in unit, and press ON to begin steaming. Follow the included steaming chart for exact times. Put the finishing touches on your hair, make your morning coffee or finish folding the laundry, all while your attire is steaming. Use the included hook to hang your Easy Steam anywhere in your house – such as the back of a door, a shower rod or closet. 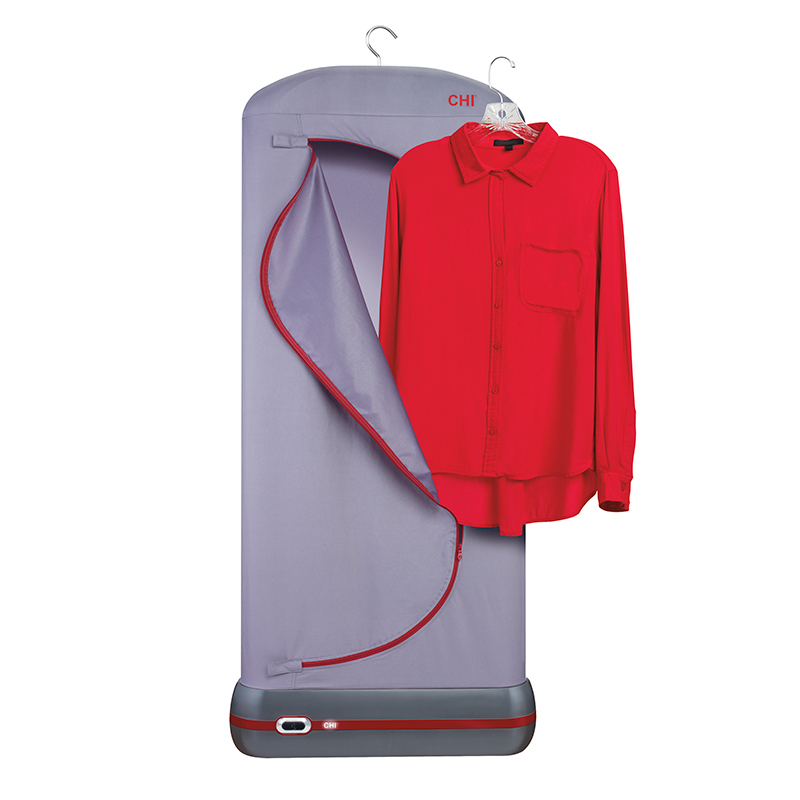 The garment bag collapses with a hook and loop strap for easy closet storage. 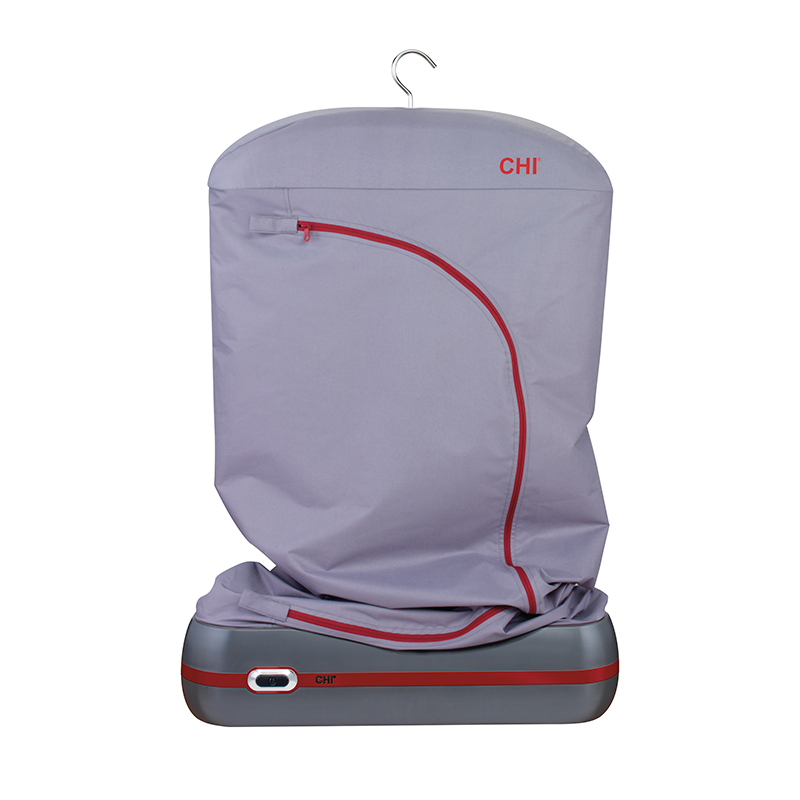 Keeping the steamer in top condition is as simple as leaving the bag unzipped to air dry. 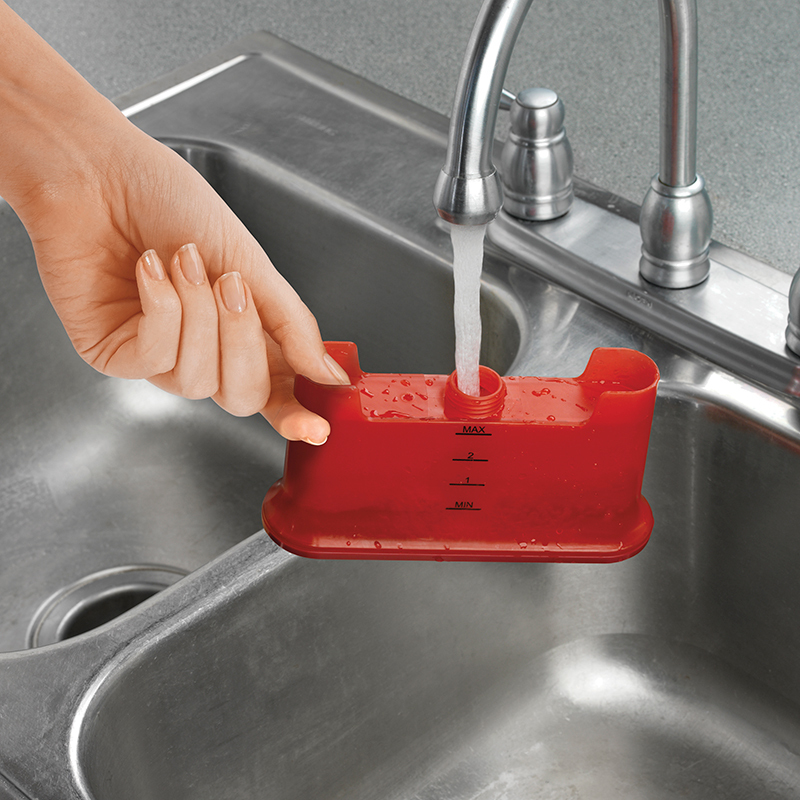 Before storing, empty the reservoir completely and allow it to fully dry.